Academy Award winning director Tom Hooper brings this star studded Super Bowl spot to life for Jaguar's new F-Type Coupe. Have you noticed how good the Brits are at playing villains in the movies? 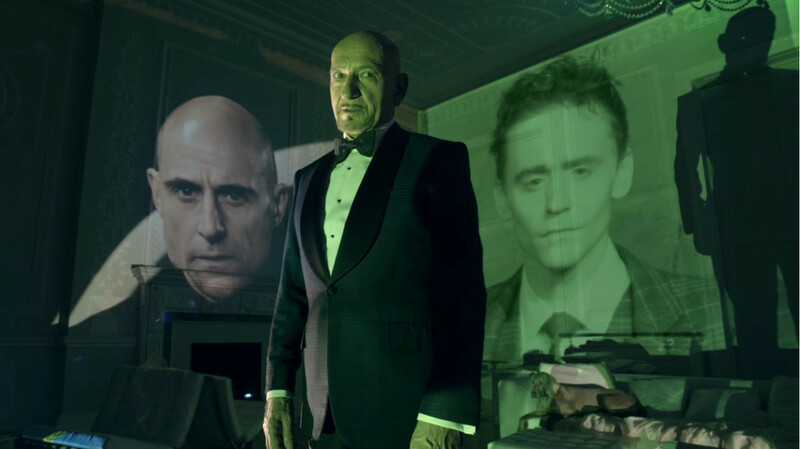 'Rendezvous', starring Sir Ben Kingsley, Tom Hiddleston and Mark Strong are all part of Jaguar's 'British Villains' campaign. We see the iconic British stars involved in a high-octane car chase through the historical streets of London, ending up in a bond-esque finale. The Mill worked across a number of aspects to bring this cinematic piece to life. Lead 2D artist and shoot supervisor Barnes explains, "The initial shoot wasat Black Bush airport in Camberly but the script required the opening shots look like City Airport so o achieve this 2D stills of cityscapes from City Airport were taken, then tracked and projected from 3D cameras to sit on the original 2D plates. There were shots of the bus, helicopter and car blasting down the Embankment, which were originally shot at the black bush airdrome, and had to be dropped onto shots of the Embankment in Flame. The majority of vehicular elements were all shot in camera, but a couple of shots involved our 3D team creating a fully CG helicopter. Some of the final shots were filmed in Greenwich, but we needed it to look like The Mall and this involved painting out domes and replacing them with trees and iconic London landmarks such as Big Ben and the London Eye."